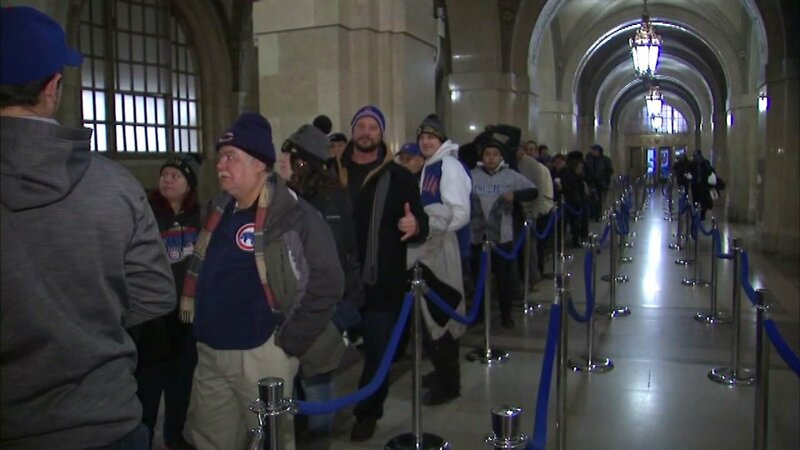 CHICAGO (WLS) -- Chicago Cubs fans can see the World Series trophy up close in the lobby of City Hall from 9 a.m. to 4 p.m. Thursday. Doors open at 8 a.m. for this stop on the Cubs' trophy tour. All are welcome to take a photo with the trophy, however they must use their own personal cameras or smartphones. Because of the cold, visitors are encouraged to dress warmly in case lines go beyond the entrance onto the sidewalk. The first stop of the tour was at the team's pop-up store on the Magnificent Mile.